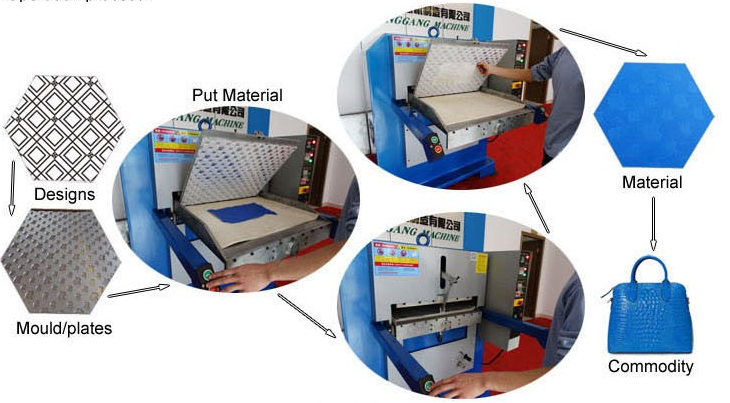 This hydraulic leather embossing machine is special for leather, pu, fabric embossing, polishing,cutting,and so on. 1.Heating molds by heater to emboss. 2.Both manual and automatic feeding available. 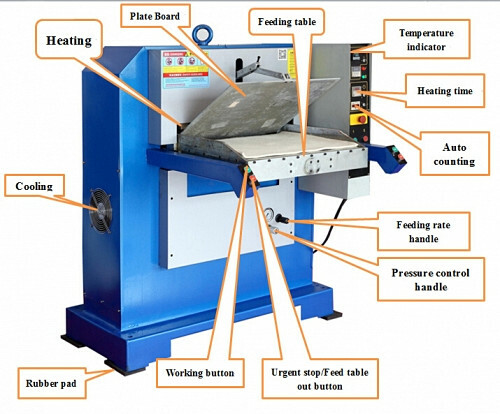 3.Heating time, heating temperatrue, embossing force, feeding rate can be adjusted. 4.With safety device of urgent buttons and double hands working. 5.Easy to set and unload plates, simple to operate. 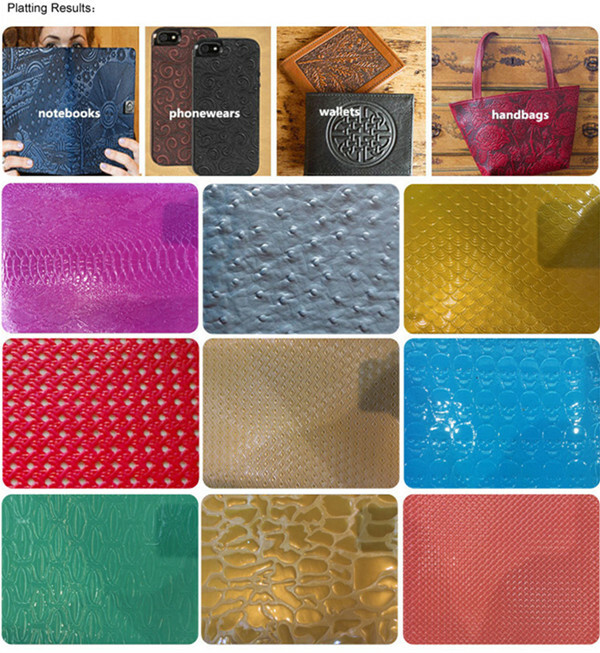 10.Embossing area:600*500mm or 750*600mm or 850*700mm or customize.